Fast- Most repairs completed within two business days. 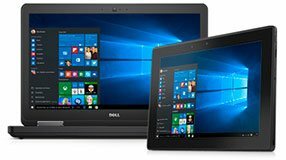 Specialized- We have been the "Dell Laptop Experts" for more than 16 years. Trusted- We have a perfect A+ rating with the BBB and five star rating on Yelp! Select it to get it fixed. How Much Will It Cost to Repair my Dell Laptop? Price or Quality? We do both! Most repair shops have to special order laptop parts, they pay shipping charges for each part then pass that cost on to you. By stocking over 250,000 genuine Dell laptop replacement parts, we save you precious time and money. In fact, we are a major Dell laptop parts supplier for repairs shop across the nation; so you can cut out the middle man! We only sell genuine Dell parts, not after market 3rd party knock offs. By doing this we can guarantee the quality and 100% compatibility of every Dell laptop we repair. If this service is chosen, you will not be charged for any diagnosis fees. Laptop Repair Labor - Covers all labor needed to repair your laptop. Whether you need 1 or 20 different repairs preformed on the same laptop, you are covered. Dust and Debris removal, clean and dust the laptop inside and out. Hardware Updates - We provide your laptop's firmware with the necessary hardware updates (BIOS Flashes) to ensure your hardware is up-to-date. Only covers labor costs, the cost of parts and shipping are additional. This is the minimum amount that will be charged if a laptop is brought in for service. Parts-People will tell you what is wrong with your laptop. We will go completely through the laptop and find the problem(s). We then will give a total price quote to have the repair done. Proceed with Repair and get free return ground shipping. Waving Repair - If can choose not to have the repair done, you only pay $30 dianosis fee plus the cost of return shipping. Standard wait times can take up to two business days. Express charge will expedite the wait time, and move the repair to first in line to ensure that the service repair will be done fast. Choose this option when filling out the service request form. This charge is in addition to shipping, parts, and labor. Let us make all shipping arrangements for your laptop repair. How do I take advantage of this prepaid packaging? 1. When filling out your laptop repair service form, you can choose 3 different shipping choices. 2. Once you have made your selection you can either submit immediate payment by credit card or choose to have a representative call you by phone to answer any questions you have and collect payment information for the prepaid packaging. 3. You will received a laptop box via FEDEX shipping within the alloted time below. In that box will be the appropriate packaging for the shipment of laptop computers, instructions on how to packaging the laptop properly, and a return shipping label with insurance, to ship the laptop back. $45 - FedEx Ground shipping - 3-5 business day shipping each way. $90 - FedEx Saver shipping - 2-3 business day shipping each way. $200 - FedEx Next Day Air shipping - 1 business day shipping each way. Prices shown above are only for shipping the laptop. Parts and labor fees are not included, and will be quoted to you are a later date. Free return ground shipping only applies to laptop repairs that have been completed by our repair center. Not available on diagnosis only repairs. You must be in the continental US (lower 48 states) to be eligible for the shipping service. Does not apply to APOs, FPOs, PO BOX's, or international addresses. May not be used to ship more than one laptop. You must pay for each additional laptop box and corresponding shipping fees. Prices may be subject to change if your shipping address is rural, and require shipping surcharges. Shipment includes $1000 dollars of insurance. We reserve the right to change or discontinue Shipping Service at any time. How much will the laptop parts cost? We stock over 250,000+ Dell laptop parts in our online store. Every part that we sell is listed online with the exact quantity in stock and the price. If you know what part needs to be replaced, you can look it up online here. If you have questions about how much a part will cost, please contact us.